In partnership with the Maharashtra State (endorsed by a Government Order issued on November 7th, 2007), IIF has commenced a Community Health Initiative (CHI), a model National Rural Health Mission in support of the goal to establish a fully functional, community owned, health-delivery system in the tribal areas of rural Thane District in Northern Maharashtra - Palghar, Dahanu, Talasari, Jawhar, Mokhada, Vikramgad and Wada Blocks. 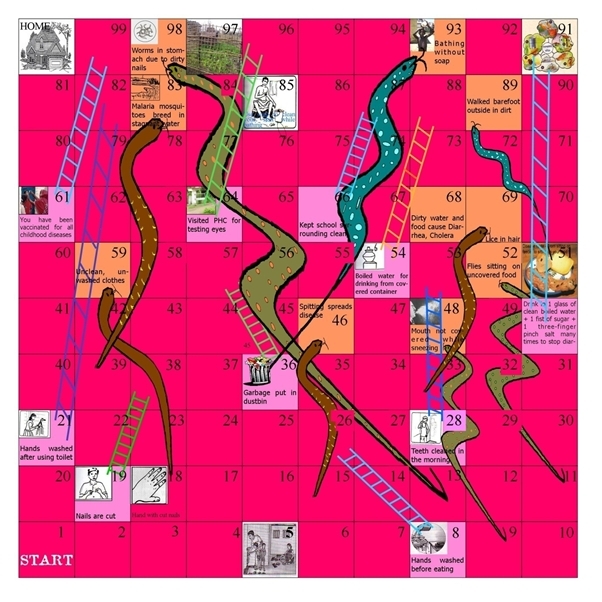 A Health Game, based on the conventional Snakes and Ladders game, has been designed specifically by Impact (in English and Marathi) for the use of rural school children. The game seeks to �reward� and reinforce positive behaviour relating to health (climb a ladder) and �punish� and discourage poor health practices (slide down a snake). The Game is simple and effective in communicating various health messages in a playful way.